Narrow Aisle forklifts are very commonly used in warehouses and other storage facilities where space is at a premium and goods are stacked on pallet racks or other high bulk shelving units. A Class II Narrow Aisle (NA) forklift is by definition designed to maneuver in an aisle of between 8 and 10 feet in width. A large variety of lift trucks fall under this category. 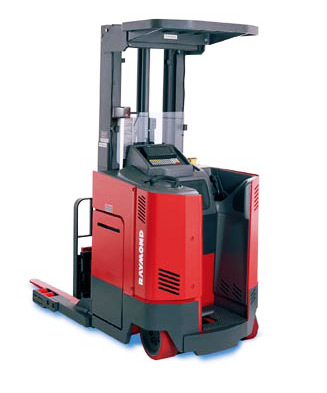 NA lift trucks are distinguishable by having outriggers instead of being counterbalanced. 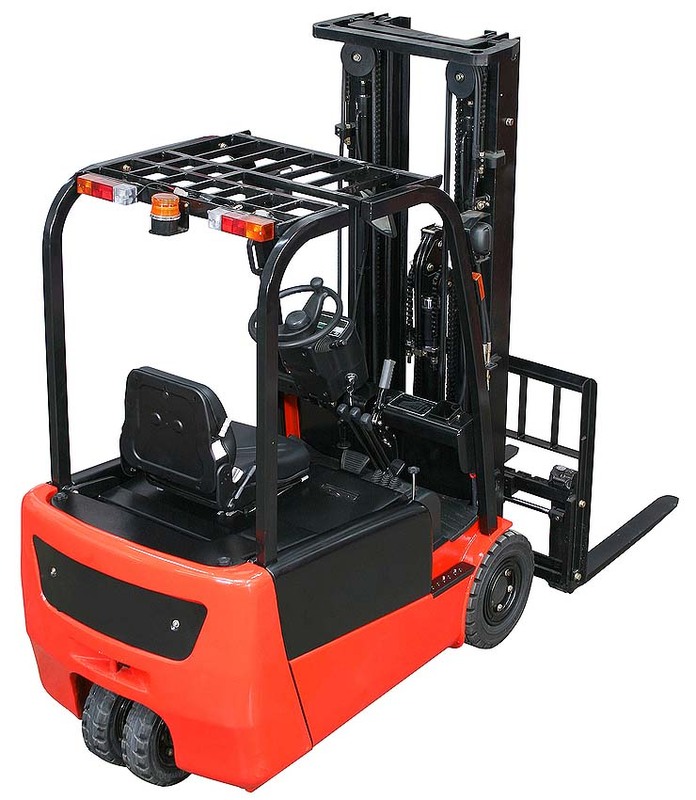 "Reach Trucks" (with horizontal reach), "Turret Trucks" (forks and carriage swing on turret) and Order Pickers (personnel carriers) are three of the most common types of Narrow Aisle forklifts. Others include sideloaders and low lift walkie fork or platform lifts. A good reconditioned Class 2 Narrow Aisle lift truck can give you years of faithful and profitable service. Users of Narrow Aisle Forklifts often call them by their nickname - "Flexis." This is because they are often very "flexible" (versatile) machines that can be used not only for narrow aisle applications, but for occasional general applications. For this reason, many companies who need an extra forklift but don't want to invest in a single purpose lift truck opt for a reconditioned Narrow Aisle lift truck. Across the board, materials handling enterprises are trying to find ways to save money without sacrificing productivity. Purchasing used forklifts instead of new forklifts is one solution to this challenge. This is a sound solution, because a good reconditioned forklift can often give your company better value per year of its lifespan than a new forklift is able to. At Reconditioned Forklifts, we have a large range of used Narrow Aisle forklifts for sale for you to choose from. If you are in doubt about whether you need a reach truck, an order picker or any other type of NA forklift, contact our customer service department. Our highly experienced team of experts will be happy to help you with your decision.